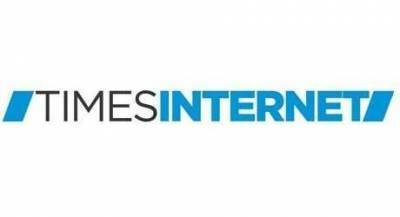 Times Internet announced that it has achieved the milestone of overall gender pay equality. Times Internet is India’s largest digital products company with over 5000+ employees across eight cities. Times Internet had commissioned Aon, a global leader in HR consulting, to conduct an independent pay equity audit across the entire organization. The results showed that there is no gap between female and male employees with respect to pay, rewards, and promotions at the company. In the “Global Gender Gap Report” released by the World Economic Forum (WEF) last year, India was ranked a lowly 108 out of 144 countries on the gender equality scale. A report by Aon shows that the overall gender pay gap across India Inc. is 24% today. Thus, Times Internet’s achievement will strongly resonate with everyone in India who believes in gender equality. To drive gender pay equality, Times Internet started by first reviewing its compensation practices to eliminate any existing gender bias and discrepancies. The company switched to a simplified, online performance appraisal system, resulting in an open, fair and transparent process for all employees. It has also initiated diversity training workshops to help employees identify and eliminate conscious and unconscious gender biases. “We looked at diversity not as an obligation, but as a catalyst for new ideas, growth and innovation. Our vision is to create a culture of equality at the workplace where diversity in all its forms, is celebrated and encouraged across all our businesses, functions and domains.”, Mr.Sinha added.